STAT received the following message late last week inviting Texas science educators to apply to participate in the Pre-Admission Content Tests (PACT) Standard Setting Conference in late April in San Antonio. The deadline to apply is the close of business Monday, April 8, 2019. On behalf of the Texas Education Agency (TEA) and Pearson, Oak Hill Technology Inc. is currently recruiting Texas educators to participate in the Pre-Admission Content Tests (PACT) Standard Setting Conference. 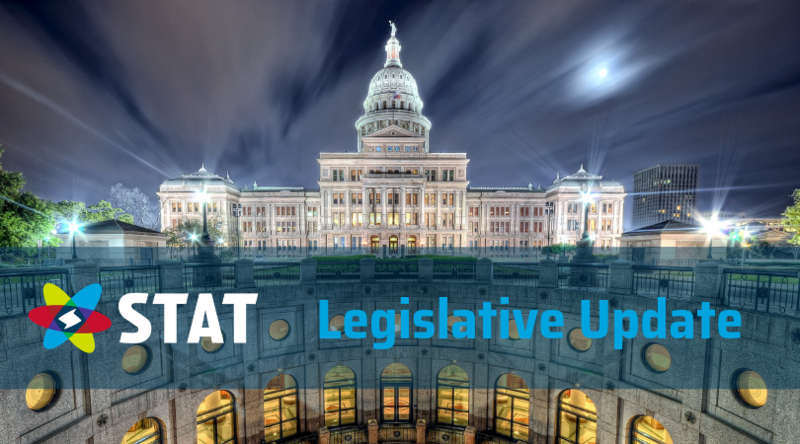 The Science Teachers Association of Texas (STAT) applauds the April 3 passage of House Bill 3 by the Texas House of Representatives on a 148-1 vote. HB 3 represents a significant investment in public education and would pump $6.3 billion of new funding into Texas public schools. The bill would also dedicate $2.7 billion to property tax compression. STAT is first and foremost a community—a community of more than 6,000 educators and science advocates dedicated to inspiring discovery of the world through science. 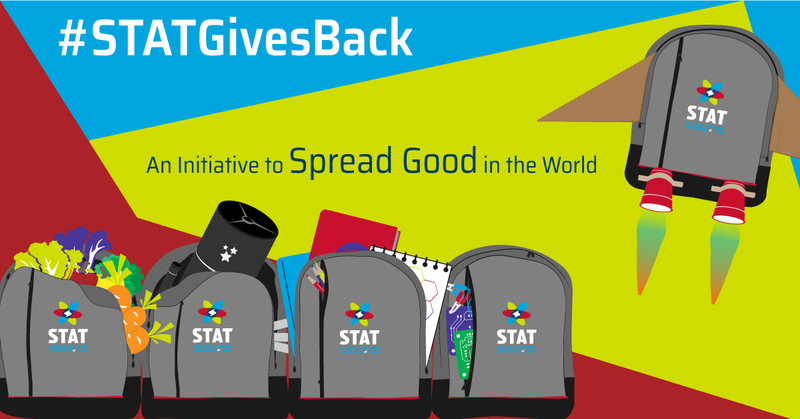 The work STAT members like you do every day in Texas classrooms makes the world a better place. The Report of 2018 NSSME+ details the results of a nationally representative survey of 7,600 science, mathematics, and computer science teachers in schools across the United States. Areas addressed include: teacher backgrounds and beliefs; science, mathematics, and computer science professional development; science, mathematics, and computer science courses; instructional objectives and activities; instructional resources; and factors affecting instruction. Click here to access the full report. Congratulations to these outstanding educators! The Science Teachers Association of Texas (STAT) is proud to recognize excellence in and dedication to the field of science education through its annual awards program. The STAT Awards Committee is honored to announce the following educators as STAT's 2018 Statewide Award recipients. Join us to recognize them Thursday, November 1, during the general session at the 2018 Conference for the Advancement of Science Teaching. 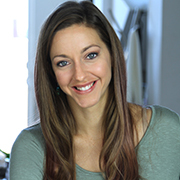 STAT is thrilled to announce that Dianna Cowern, science communicator, educator and content creator for the one million-subscriber YouTube Channel Physics Girl, will speak at the CAST 2018 General Session Nov. 1 in Fort Worth. Dianna earned a bachelor of science in physics from the Massachusetts Institute of Technology before researching low-metallicity stars at the Harvard-Smithsonian Center for Astrophysics (CfA) and designing an iPad app as a software engineer at GE. She then pursued her career in STEM outreach working as an educator at the Reuben H. Fleet Science Center in San Diego, California, and as a physics outreach coordinator at the University of California, San Diego. Her work on Physics Girl has been featured in the Huffington Post and Slate Magazine and on Scientific American blogs. Check out Dianna’s YouTube channel. CAST 2018 registration and housing will open in late August. Stay tuned for announcements! STAT’s annual awards recognize excellence at all levels of science education, from first-year classroom teachers to university professors. Recipients are recognized during CAST and receive an honorarium, complimentary CAST registration and CAST travel reimbursement. Colleague nominations are due Aug. 27, and applications are due Sept. 5. Learn more. CAST is known across Texas (and across state lines!) as a celebration of all things science. Nearly 6,000 science educators gather each fall for three days of inspiration and idea sharing. Would financial support for travel, hotel or even a substitute make it possible for you to attend CAST? Consider applying for a CAST 2018 Scholarship! STAT is pleased to award $750 stipends to qualified members to be used as the recipient needs (for registration, hotel, travel, a sub, etc.). Scholarship applications are due Sept. 5, and recipients will be notified by Sept. 25. Apply today. AUSTIN – Commissioner of Education Mike Morath announced that Denise Koontz, a teacher in the Keller Independent School District, and Misty Ruth, a teacher in the Pasadena Independent School District, have been selected as national winners representing Texas for the Presidential Award for Excellence in Mathematics and Science Teaching (PAEMST). PAEMST is the highest recognition a mathematics or science teacher may receive for exemplary teaching in the United States.